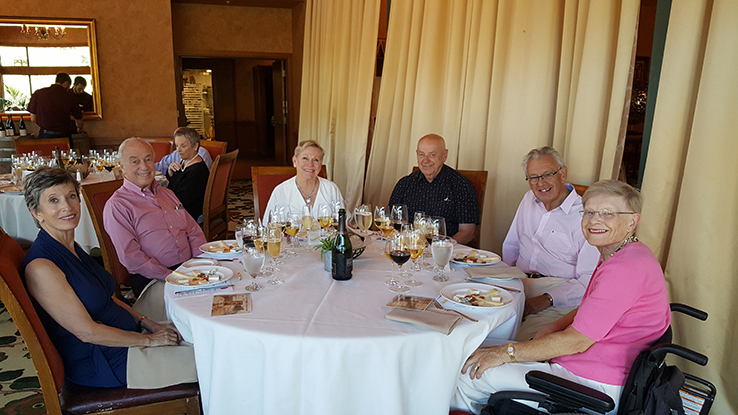 The Napa Valley and Sonoma branch held its July event at the Napa Valley Country Club. With the intent of offering our members “something different” we strayed from our usual format for events and provided a cheese and wine pairing experience. We were privileged to have Janet Fletcher, a nationally acclaimed expert on domestic and European cheeses as our presenter. 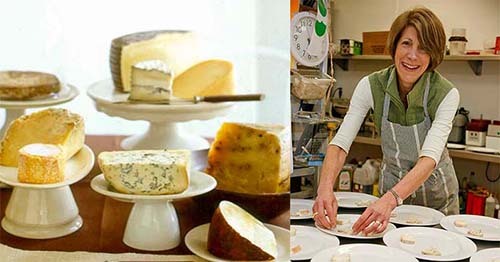 The theme of the event was “Seven Styles of Cheese” and indeed that is what Janet presented. We selected four wines to taste against the cheeses, a Napa Valley sparkling Brut, a Rhone style white, a Chateau Neuf du Pape and a Napa Valley Semillon. Janet described the origins and characteristics of each of the seven cheeses and the group discussed how each paired with the four wines. We had a very enjoyable and educational afternoon event which will encourage us to seek other opportunities to offer our members food and wine related activities which they might be unlikely or unable to do on their own.